Friday’s ad is for Michelob, from 1970. 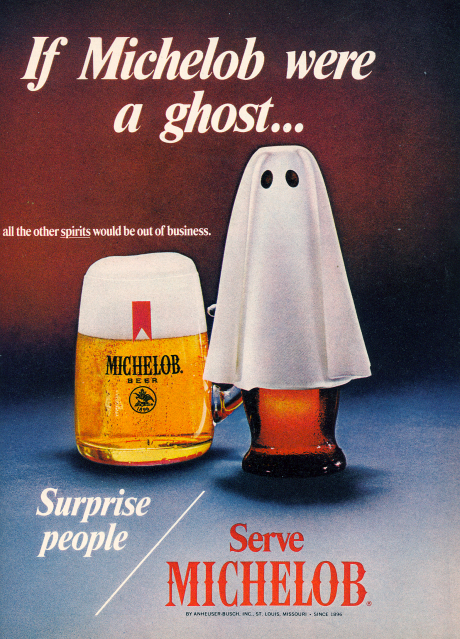 A surprisingly fun ad, draping the Michelob bottle with a sheet as a ghost for Halloween. “Surprise People” indeed. Happy Devil’s Night.